The Event Par Level Tool allows you to adequately stock up for that once in a blue moon event that would normally leave you with 50 extra bottles of Creme de Mure and Blue Curacao staining the stock room floor. 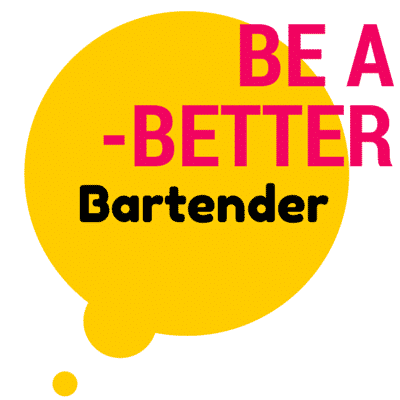 So next time you get the phone call that someone is renting out your event space and want a specialised cocktail list for their event, then have no fear just use this par level tool to make sure you don’t over order. It is simple to use but does need some extra input from the user. Let’s take a look. Please note: this is set to UK standard sizes. this can all be changed by you. If you would like other standards then drop us a comment and we will be happy to oblige. Make sure that the brand names on the left hand column are also the ones that you are using. The next thing that you need to do is to input what cocktails you will be using and what specs for each ingredient. Correct the bottle sizes if needs be. If i have any of the bottle sizes wrong change them in the ‘shots of 25ml per vessel’ section, if so then just divide the bottle size by 25ml (or whichever your country uses) and thats the number you put in that column. The top left corner is where you will put the size of the party and the estimated amount of drinks per person. Usually working off each person who is drinking having one drink every half an hour. 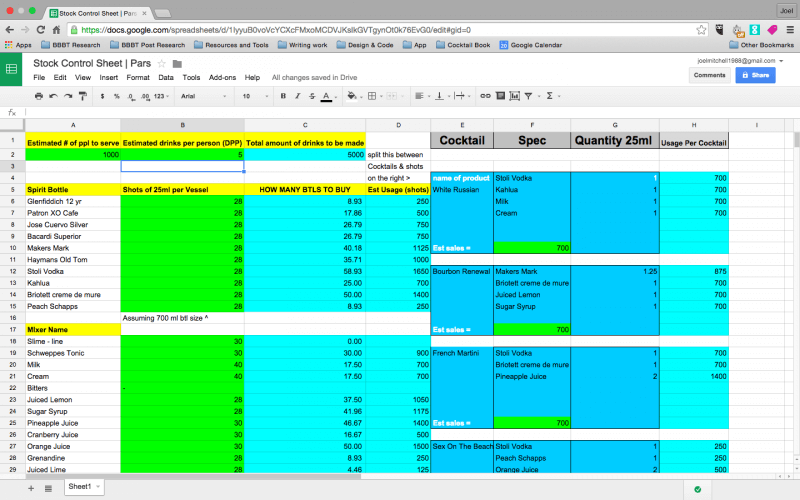 Split the total amount of drinks to be made between your cocktails and shots accordingly in the ‘est sales=’ sections. At the bottom is a handy variance tool so you have got the estimate number of drinks equal to the estimate number of sales of each cocktail. Now this is the bit that requires some extra work from you. In the ‘Est Usage (shots)’ section you will need to input the data, or just simply add up, the figures that correspond to the ingredient name in the ‘Usage per Cocktail’ section. For example; if Stoli Vodka happens to be in 4 of your cocktails then you will add up the four corresponding lines and put that total figure into the ‘Est Usage (shots)’ section on the Stoli Vodka line.